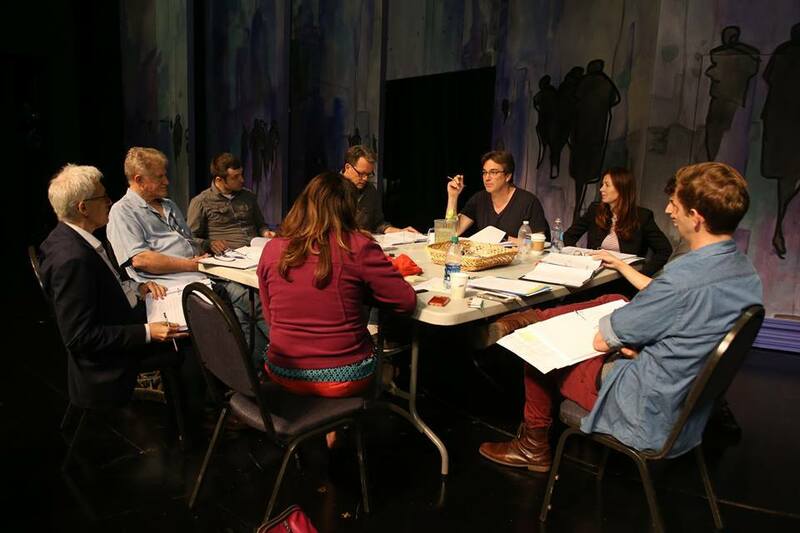 From left to right: Playwright Donald Margulies, Dramaturg Jerry Patch, Stage Directions Reader Travis McLean, actor Steven Culp, director Casey Stangl, actors Jon Tenney and Dana Delany and ​Production Assistant Colby Sostarich in rehearsal for the 2017 Pacific Playwrights Festival reading of Margulies' "Long Lost." 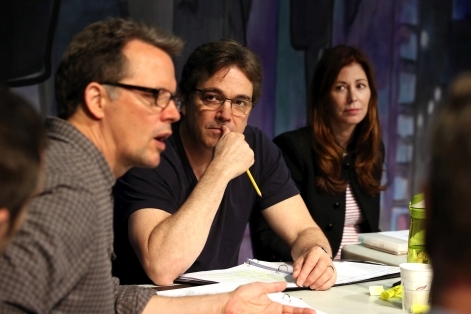 From left to right: Steven Culp, Jon Tenney and Dana Delany in rehearsal for the 2017 Pacific Playwrights Festival reading of "Long Lost" by Donald Margulies. David has a brilliant career in finance, a beautiful, successful wife, an exceptionally promising son … and a long-lost brother who threatens to blow everything up when he unexpectedly walks back into David's life. The latest from a masterful observer of the fault-lines within families. 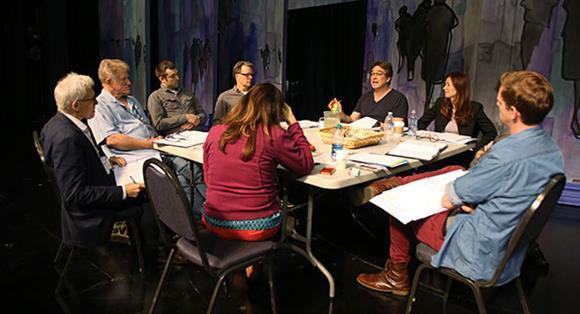 The festival presented seven works, four as readings and three in full productions. "Long Lost" by Donald Margulies, directed by Casey Stangl and dramaturged by Jerry Patch, is a drama about the effects of a manipulative older brother who returns to the fold of a seemingly stable Upper East Side family. 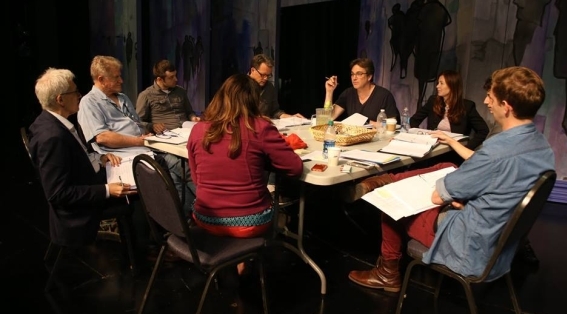 Pulitzer Prize winner Donald Margulies is among the veteran playwrights whose work will be presented in the festival's annual weekend of new plays. "Long Lost," running April 22, tells the story of a successful business executive whose long-lost brother walks back into his life and threatens to blow up everything.